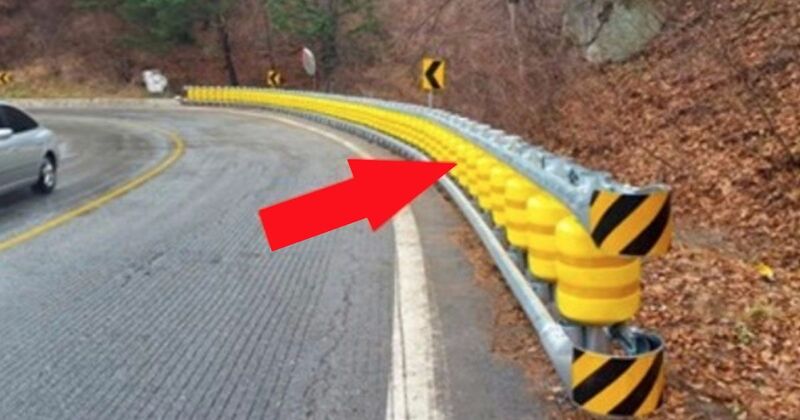 If you've ever seen an accident involving a guardrail you may have noticed that the guardrail is likely bent out of shape, but kept the car on the road. The vehicle that hit the guardrail is likely not in such great shape. But, one company has invented a guardrail they say can save millions of lives. ETI, based in South Korea, dubbed this new guard rail the Road Roller System. Comprised of steel tubes and plastic castors, the system is designed to absorb impact energy and turn it into rotational energy. The result of this design is that a vehicle would be slowed down, but continue to move forward rather than coming to a screeching halt against a solid object, according to AutoMoto 101. The system is safe to install on any side of the road and around corners and edges. It's unclear whether this system has been put into production yet. Some viewers of the video are worried that the system could send vehicles careening back into traffic. Still, when you watch the video below it's hard to deny that this new design could save lives and prevent injuries.